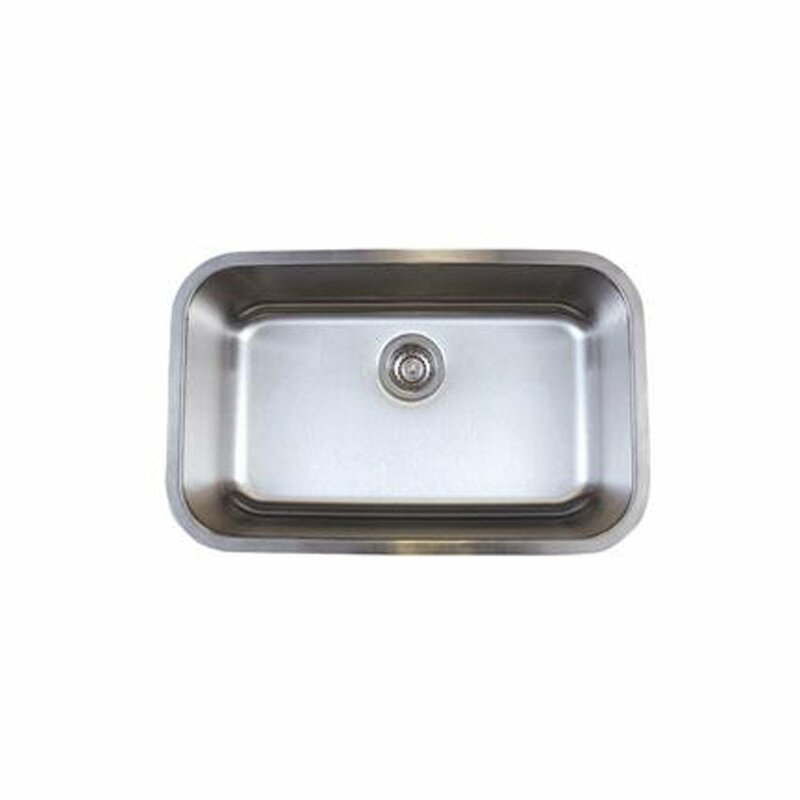 The Blanco Stellar single bowl stainless steel sink is one of the cheapest sinks we have reviewed here on our site. However, like the other budget sinks we reviewed, it’s much more of a great value for money sink than a cheap sink. Sure, there are a couple of downsides with the Stellar, but its extraordinary features far outweigh them, making it a great choice for anyone on a budget. Let’s discuss its important features in detail below. Something we liked the most about the Blanco Stellar is that it’s made using 18 gauge stainless steel, which means that it’s very durable. A customer updated their review of this sink after using it for 3 years and mentioned that it’s still holding up pretty well. If you’re on a budget but worried about ending up with a sink that just may not hold up well over the years, then the Stellar may turn out to be your best bet. As with many sinks being sold on the market, the Stellar’s picture does a terrible job when it comes to giving the potential customers an estimate of the sink’s size. It’s actually way larger than what the picture shows, so don’t let that fool you into thinking that the sink may not let you conveniently wash your large utensils. The Stellar is surprisingly large and deep for a sink at this price point. A customer mentioned in their review that they can easily put a full-size cookie sheet or two frying pans in the sink to soak. This is something you would be hard-pressed to find in any other sink at a price as low as what the Stellar is being sold at. We wonder how Blanco manages to offer so much at this price point. And while it’s not that you may not find a steel sink coming with noise-absorbing pads if you pay a bit more, they are far from perfectly effective. However, the Blanco Stellar comes with noise absorbing padding that works just as well as it does in much more expensive steel sinks. And given that steel sinks are often annoyingly noisy, this is definitely something you would want to take into consideration. Furthermore, the noise-absorbing coating at the bottom goes a long way in minimizing the noise of the disposal as well. 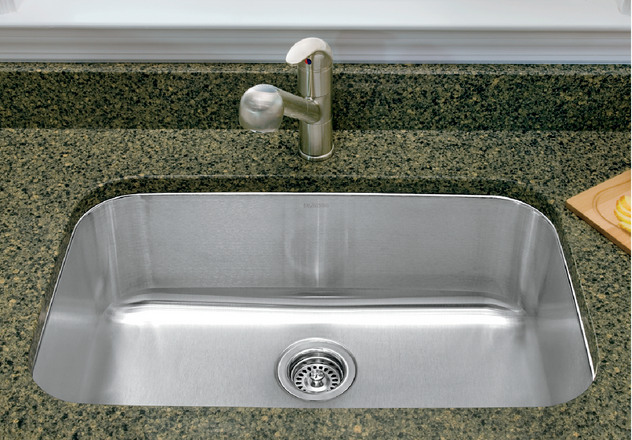 Stainless steel sinks are known for being easy to clean and maintain, but things aren’t the same when you’re buying one at such a cheap price. However, the Stellar turns out to a better option on this front as well, as it’s very easy to clean it and take care of its maintenance needs. The sink’s curved corners prevent the water from sitting in them and the food stuff getting stuck there and difficult to be removed. If you want to take the ease of cleaning the sink even further though, you can consider buying a sink grid. It would help drain out the food easier without letting it settle on the sink’s surface. Unless you want the best of style and looks and can’t stand even a single scratch on your sink (things that you wouldn’t be getting at this price point anyway), there’s going to be nothing even remotely disappointing with the Blanco Stellar single bowl steel sink despite its unusually cheap price tag.